HPC Authorised Distributor HPC Compressors are recognised as the gold standard in the industry. As official distributors for HPC compressed air systems, we provide innovative products and solutions. We supply the UK's highest quality business' compressed air requirements. The iconic 'Yellow Box' has become synonymous with quality, efficiency and reliability throughout British industry. From workshops and agriculture to manufacturing and the food industry. 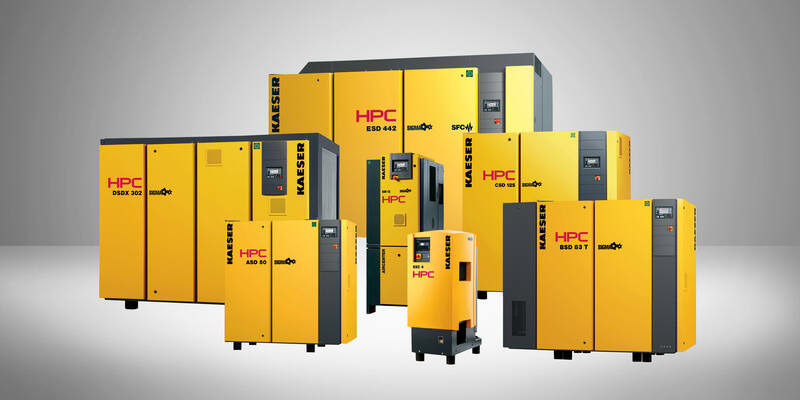 The range of HPC compressed air equipment includes both fixed and variable speed drive screw compressors. From 2.2 to 450kW and pressures ranging from 5.5 to 15 Bar. Telford Compressed Air Services team of multi-skilled engineers have been fully HPC trained. This ensures a service of the highest quality 24 hours a day, 365 days a year. In partnership with Kaeser Kompressoren, HPC have been a leader in the UK market for over fifty years. Throughout industry, compressed air is so widely used. It is often regarded as the 'fourth utility' accounting for an average of 12% of facilities energy consumption across Europe. Typically, initial purchase cost of a compressed air system is 10%-20% of its 5 year operating cost with service cost in the same range. The effect is that electricity can account for 60% - 80% of the overall lifetime cost. As such, the demand to reduce carbon emissions has been the focus of HPC compressed air systems. Energy efficiency being number one on the beneficial features list. HPC compressors feature 'premium efficiency' IE3 or 'super premium efficiency' IE4 motors. They meet or exceed strict efficiency criteria, drastically reducing both overall cost of ownership and carbon emissions. 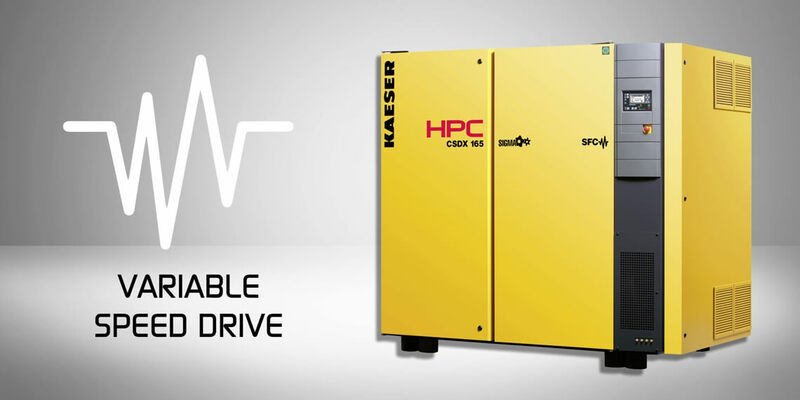 Reliable and efficient compressed air is achieved from all HPC Kaeser rotary screw compressors and associated machinery. 5 Year No Quibble Warranty Reliability is essential when choosing compressed air equipment. 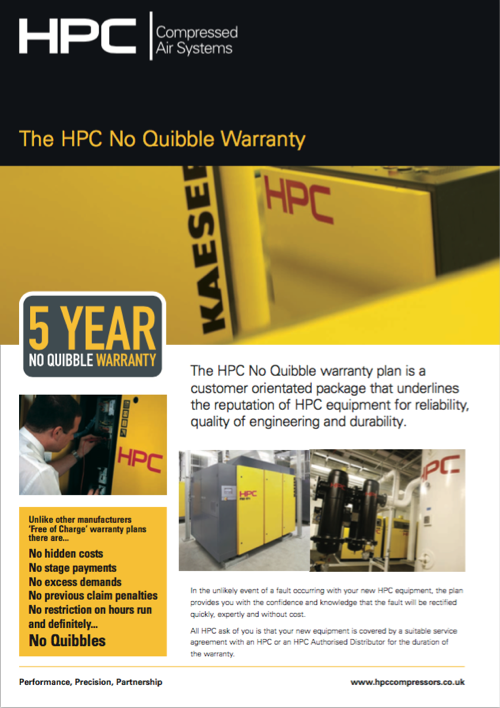 This is why you should look no further than HPC and Telford Compressed Air Services Ltd. All HPC compressors come with the option of a 5 year, no quibble warranty plan. In the unlikely event of a fault occurring with your new HPC equipment, the plan provides you with the confidence and knowledge that the fault will be rectified quickly. All we ask is that your new equipment is covered by a suitable service agreement for the duration of the warranty period. 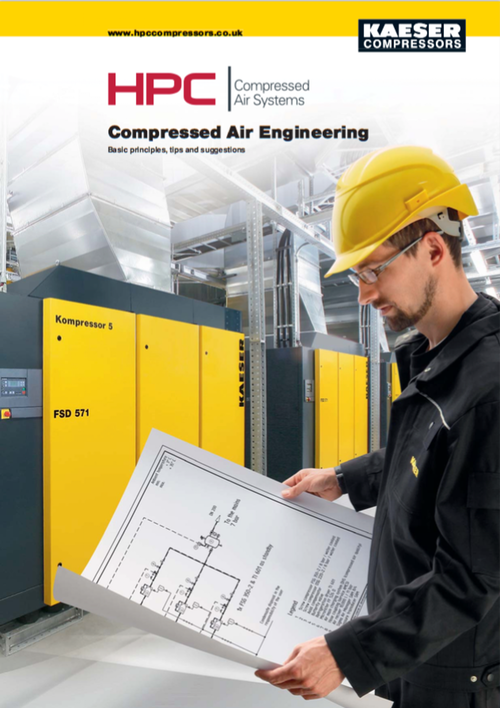 HPC Compressors feature integrated SIGMA controllers allowing Telford Compressed Air Services Ltd. to monitor, network and manage your compressed air system. HPC’s SIGMA Air Manager (SAM) provides localised control for multi-compressor systems. The SIGMA Air Manager provides detailed performance and efficiency analysis reports. This is as well as monitoring compressed air demand and selecting the most efficient way to deliver the air requirement. 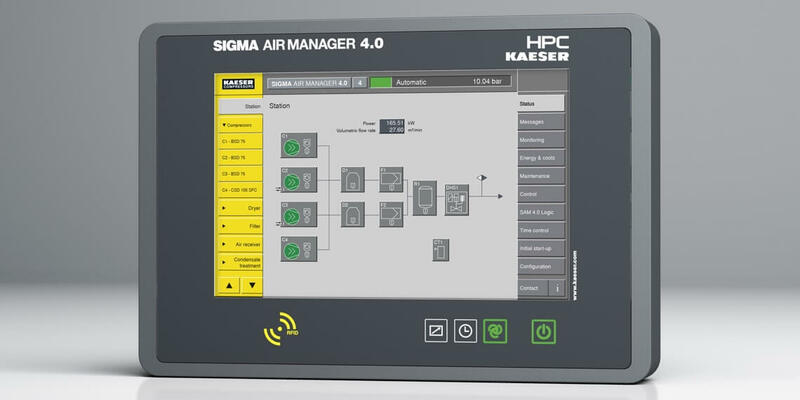 The SAM Controller is also key technology for Industry 4.0.